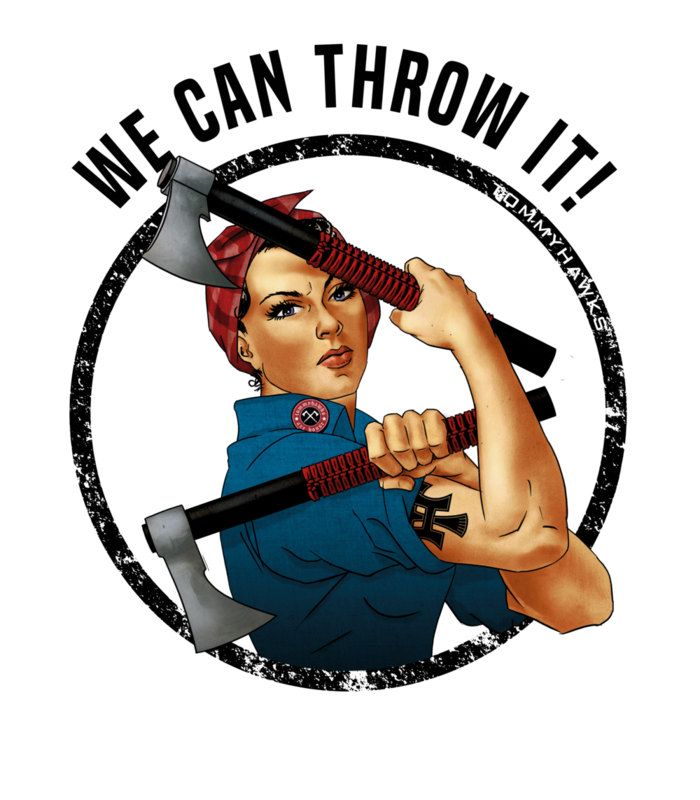 Axe throwing is becoming extremely popular in the United States. Thanks to our Canadian brethren, there has been a surge in the sport, spurring many different venues to start popping up around the country. Don't be fooled by the imitators, the plain Janes, and the naysayers. Come visit the only place that truly KICKS AXE! Most other axe throwing venues don't have a history with axes. Well, we do. It is how we started - building custom, unique tomahawks and immersing ourselves in the culture. Be a part of the Veteran Brand taking the industry by storm. Check out our custom work! Nothing says "been there, done that, got the t-shirt", like - well, the T-Shirt. We have a selection of apparel that truly highlights our brand and culture. Manufactured by our partners at American Trigger Pullers, no other axe throwing venue can match our brand or style. We are the Kick-Axe Company! We accept plastic only. NO cash. Must wear CLOSED-TOE shoes! WEEKDAYS AVAILABLE FOR LARGE PRIVATE GROUPS. Use the form below to contact us regarding our indoor axe-throwing venue or our custom tomahawks. Please be as detailed as possible. To reserve a throwing-lane or book for large parties you can click "Book Now" at the top of the page. For custom tomahawk questions, be sure to include any ideas for your custom Hawk, to include colors, logo, and style that you are looking for. disclaimer | kick-axe stuff on this website! | TommyHawks™ 2018. All Artwork, Images, Video and other material on this website are for the restricted use of TommyHawks and Affiliates. Any duplication or use without express written consent is unauthorized. TommyHawks is a Veteran Owned small business, dedicated to bringing the sport of axe throwing to Southwest Missouri.